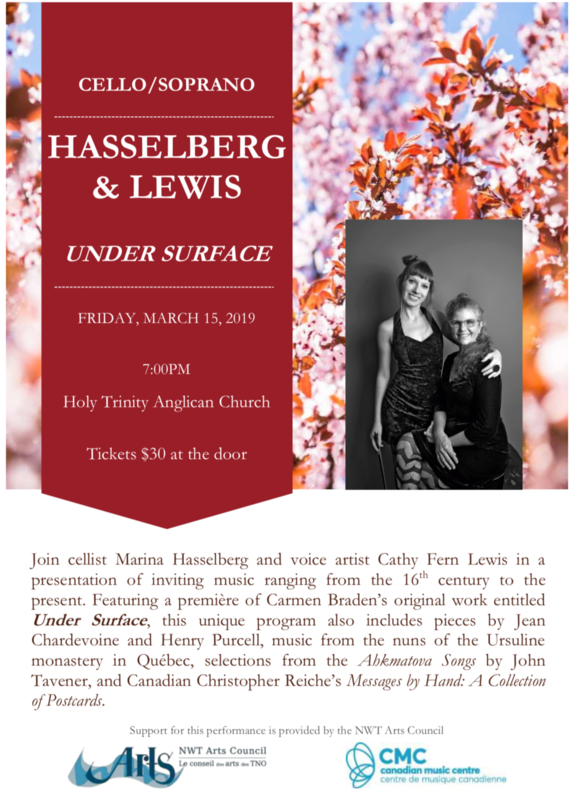 March 15th in Yellowknife – the world premiere of my composition UnderSurface written for voice artist Cathy Fern Lewis and cellist Marina Hasselberg, who will be performing a fantastic full concert, and a special Snowcastle appearance! Full concert March 15 Anglican Church 7pm $30 at the door. Snowcastle show March 16 1:30pm.